Umberto Nocita is a musician and a dancer. Born in 1986 he had his first contact with the music at a very early age. 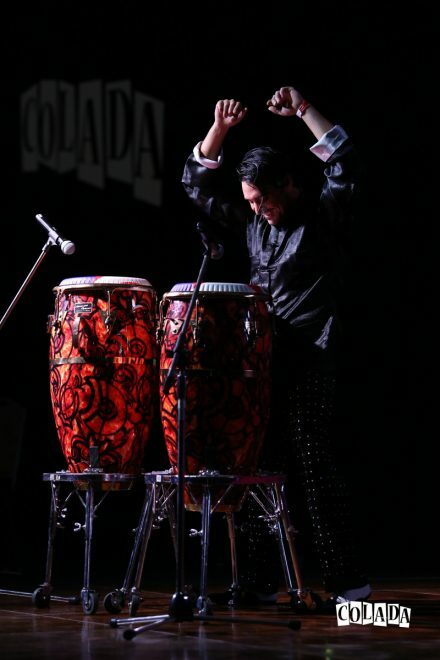 When he was 7 years old, he listened to his first disc by Tito Puente and he was fascinated by the latin rhytm so he started to learn and practice as much as possible. When he was 15 he had his first salsa concert at a congress and it was then that he saw a lot of people dancing. And, without giving up playing, he found another great passion that together with the music became his lifestyle. Through the years he studied from and worked with the biggest musicians, dancers and artists in the world. Each and everyone of them left a mark on the development of Umberto and contributed, and still are, in creating his own unique style. His interest and passion for the latin music made him explore a lot of dance styles, create a huge number of choreographies, participate in various dance competitions and perform on the biggest stages in the world. Being a musician and a dancer makes Umberto’s teaching style complete, his students receiving the information from two different points of view. Now Umberto is a professional dancer who lives in Paris and travels all over the world spreading his passion for the dance.